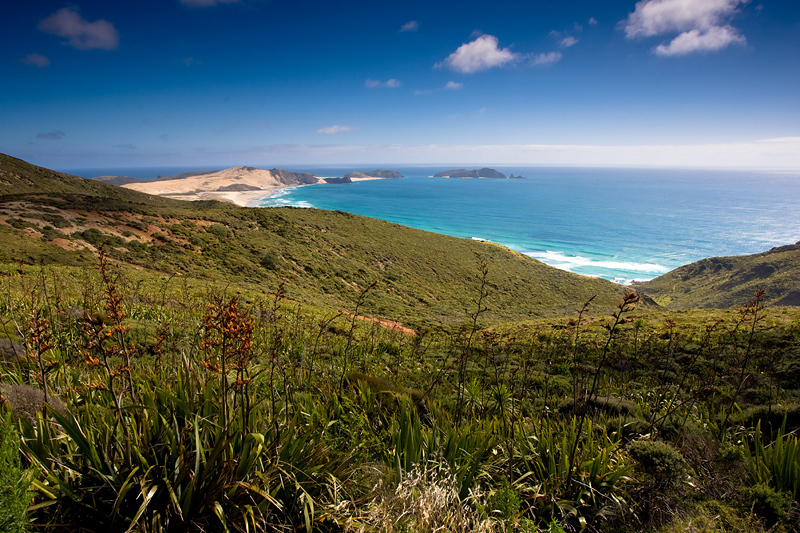 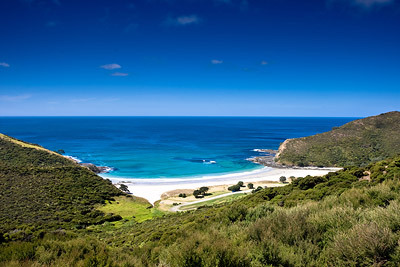 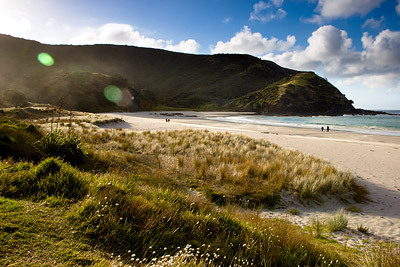 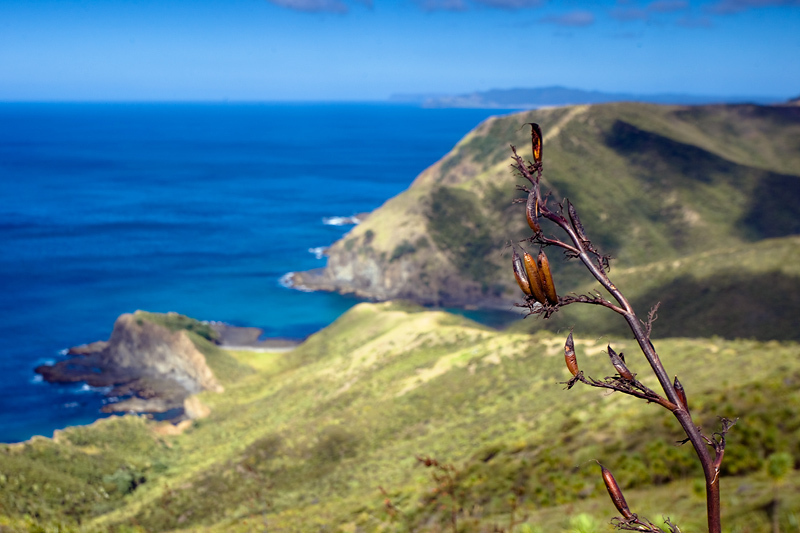 After driving the length of Northland to Cape Reinga (The Place of Leaping) – decided to camp at the Tapotupotu camping ground – The most Northern campsite in New Zealand. 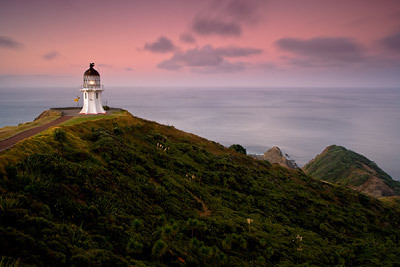 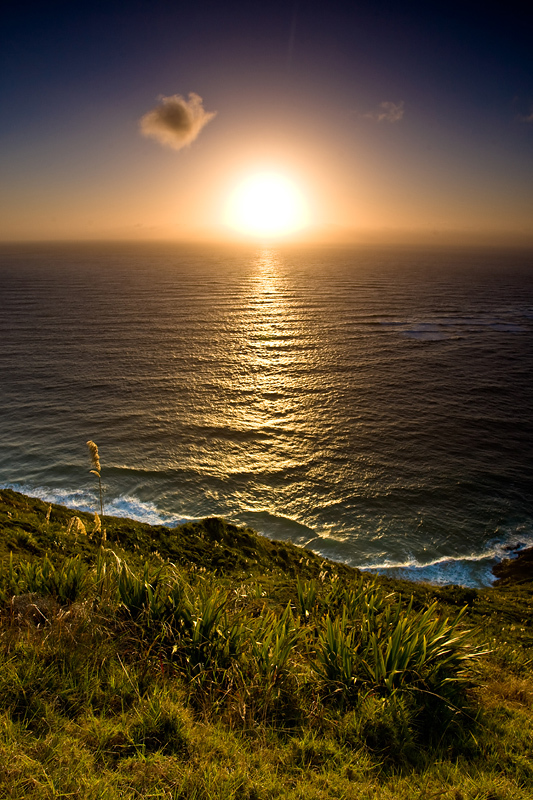 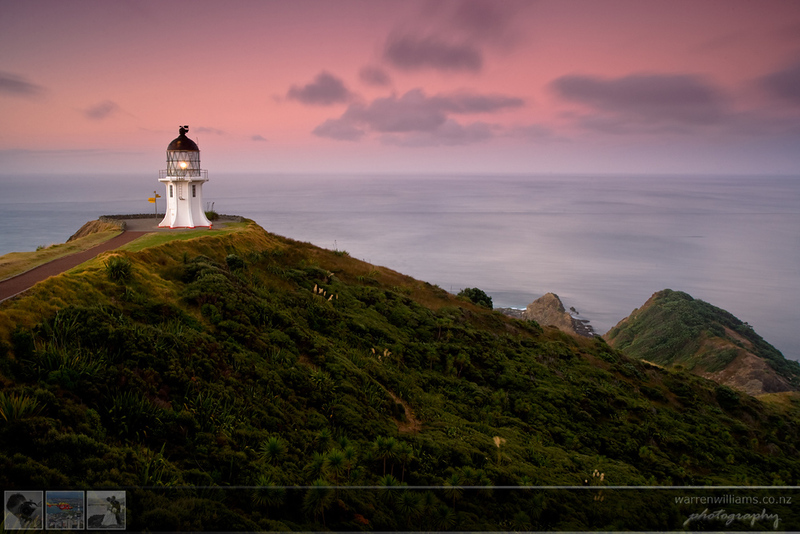 Cape Reinga lighthouse built in 1941 – with the fabled 800 year old Pohutukawa tree growing on the Eastern cliff visible. 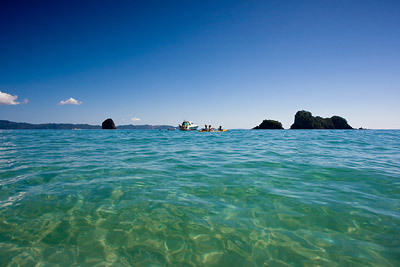 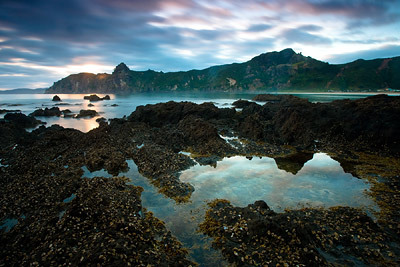 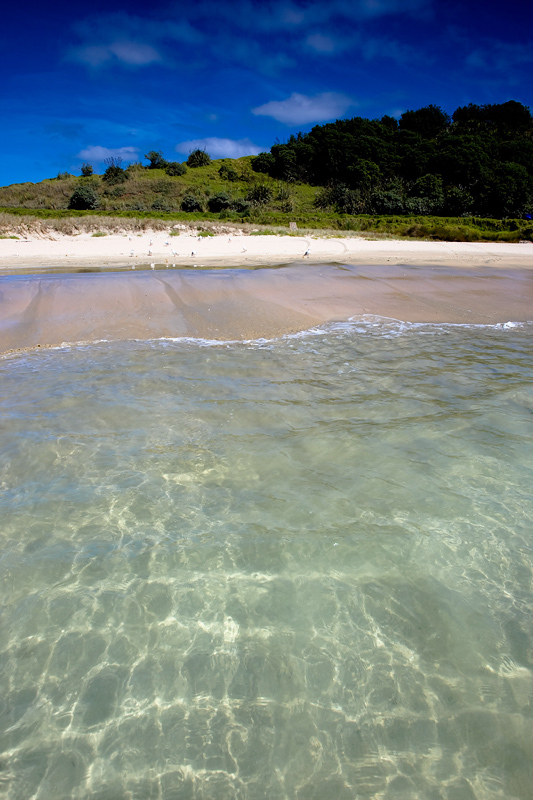 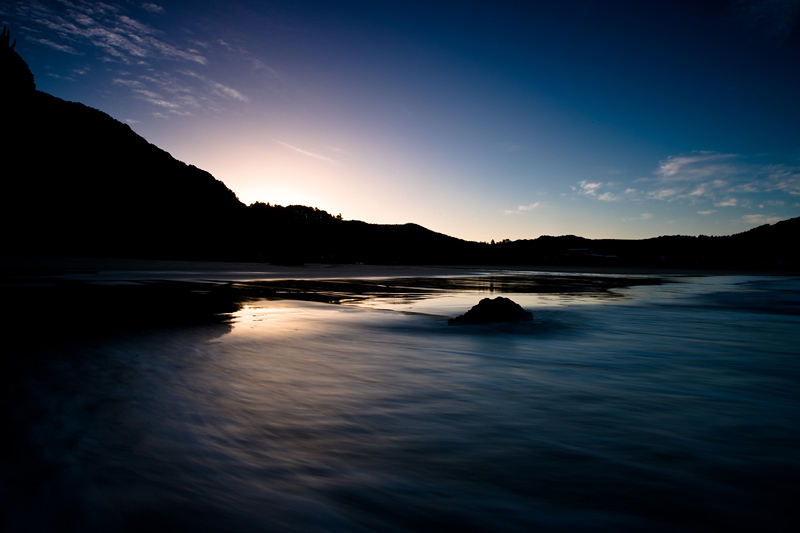 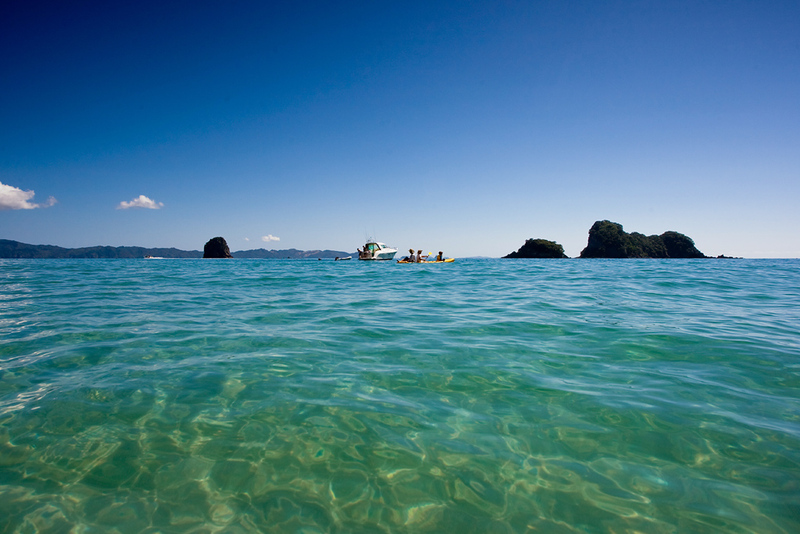 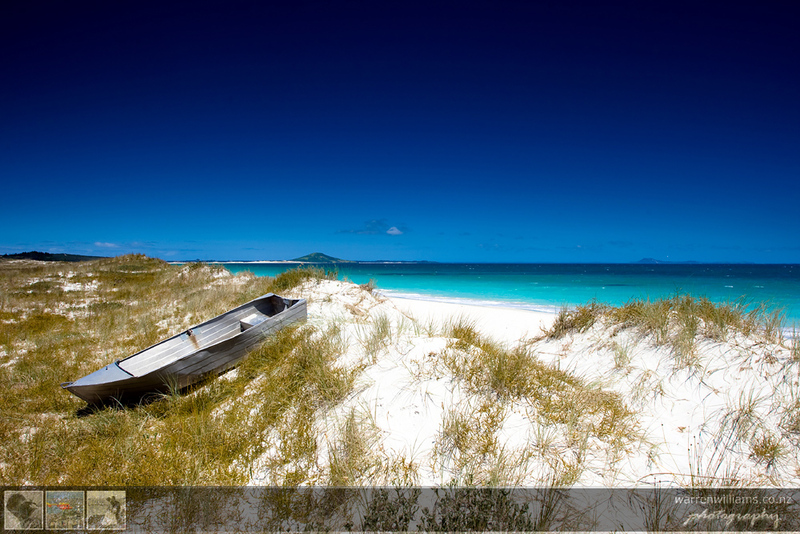 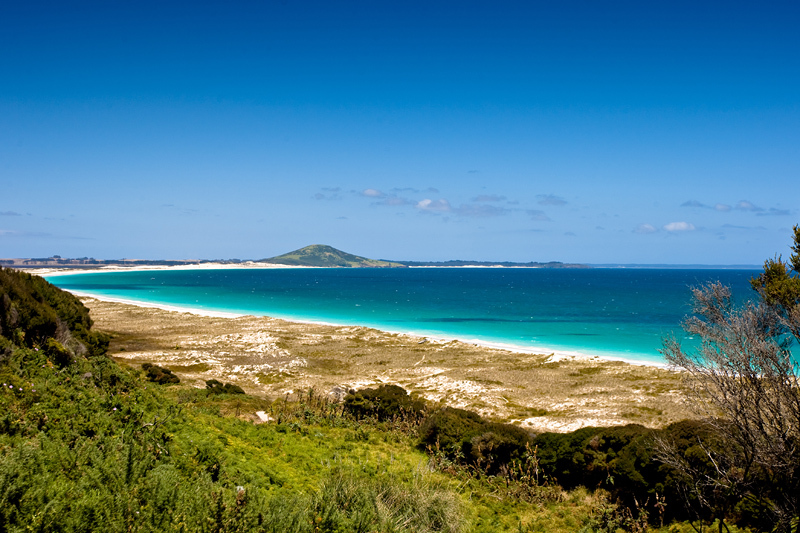 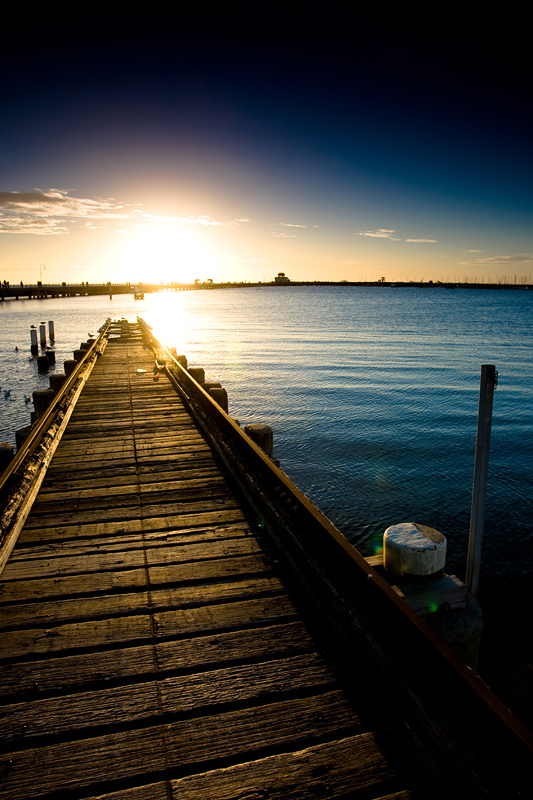 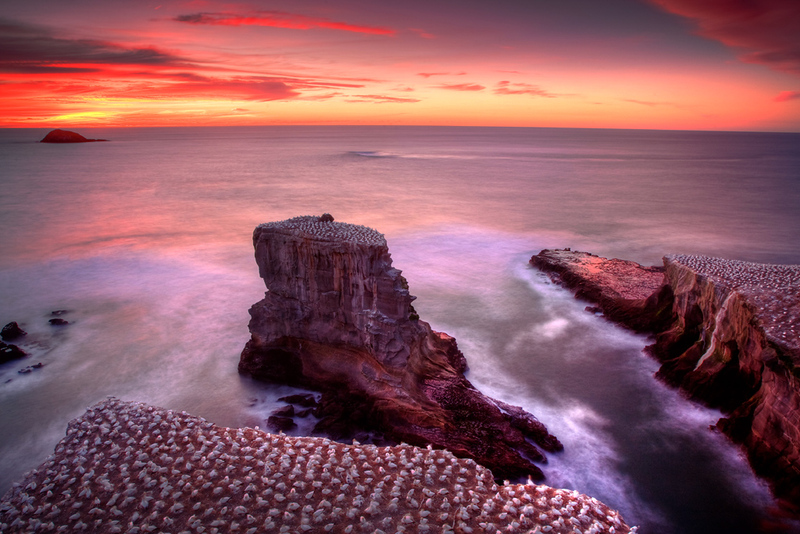 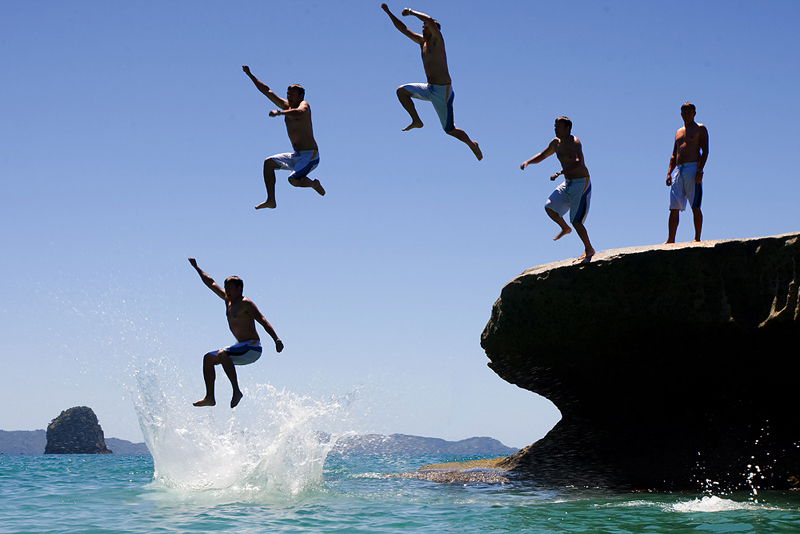 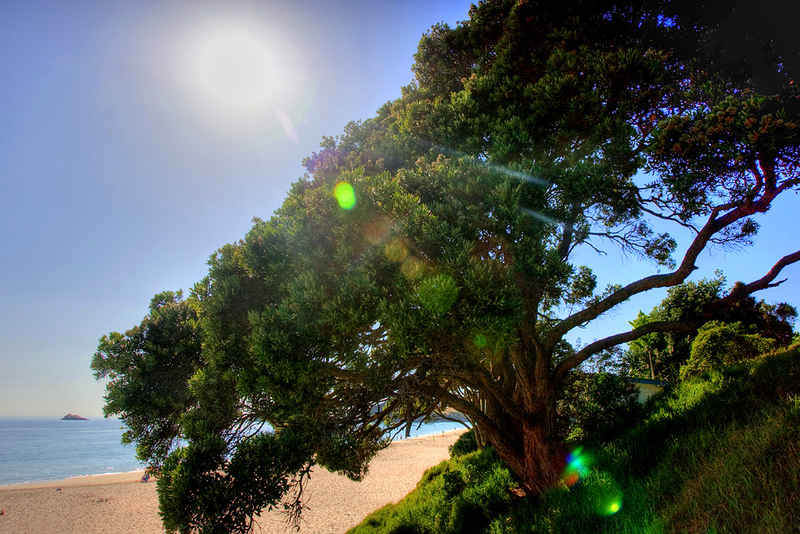 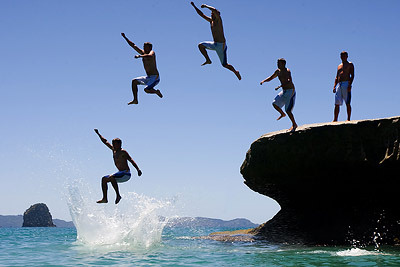 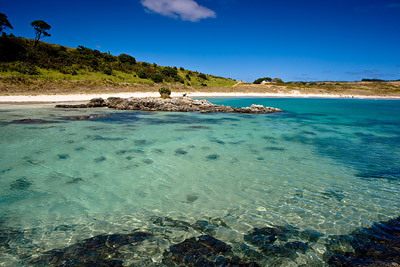 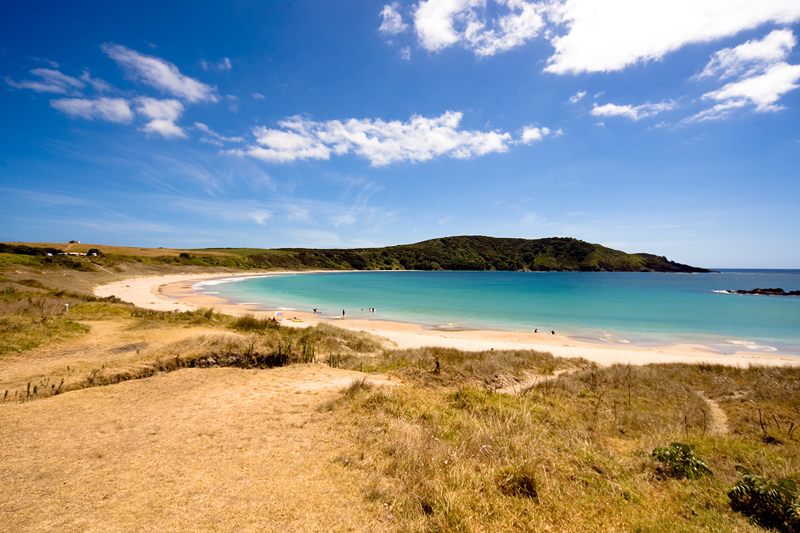 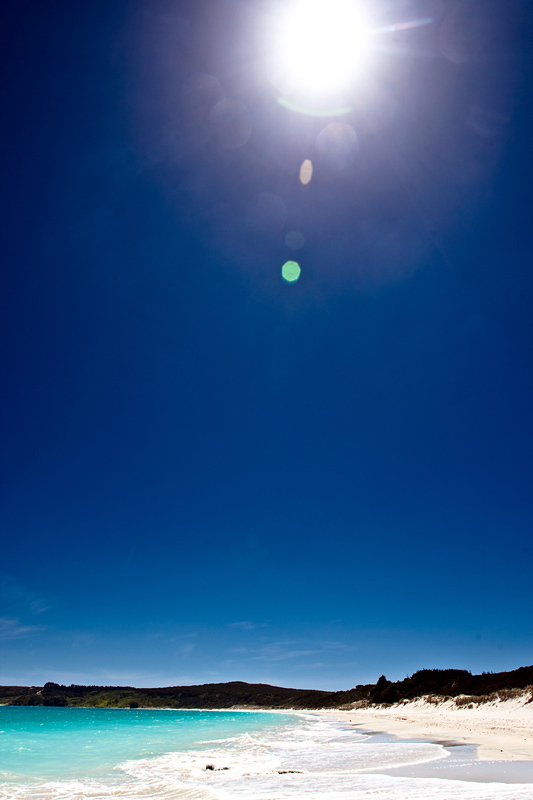 Taupo Bay is located in the beautiful clear waters of Northland, nestled amongst the rugged coastline. 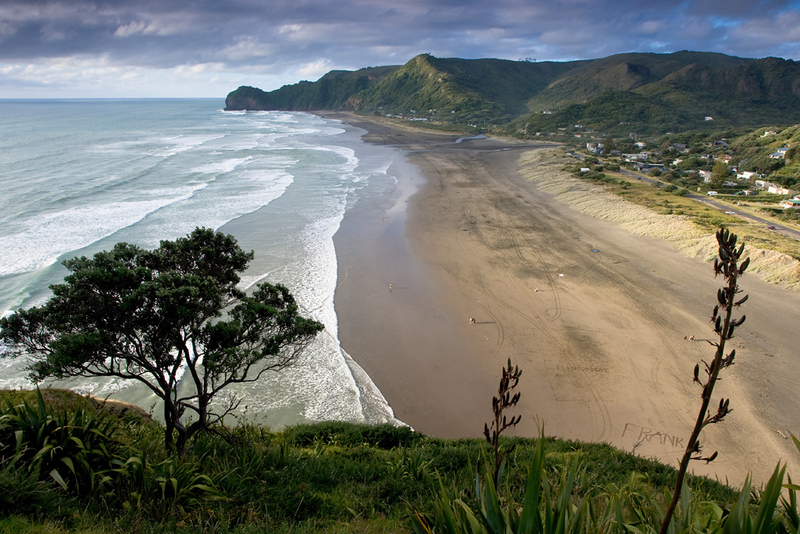 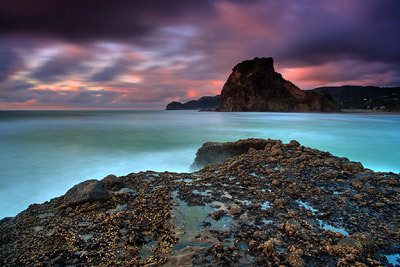 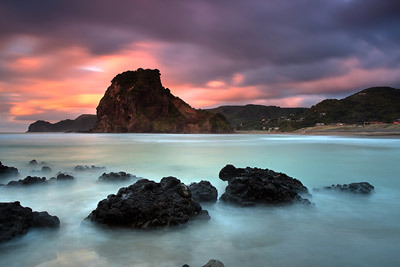 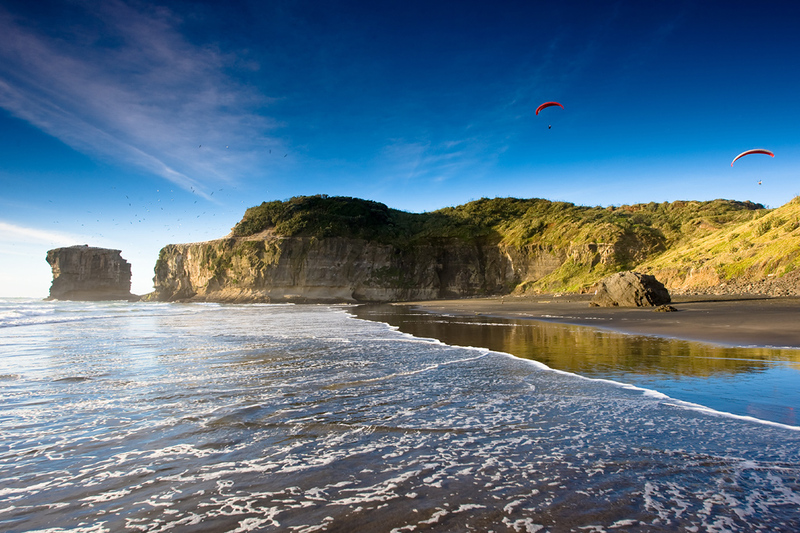 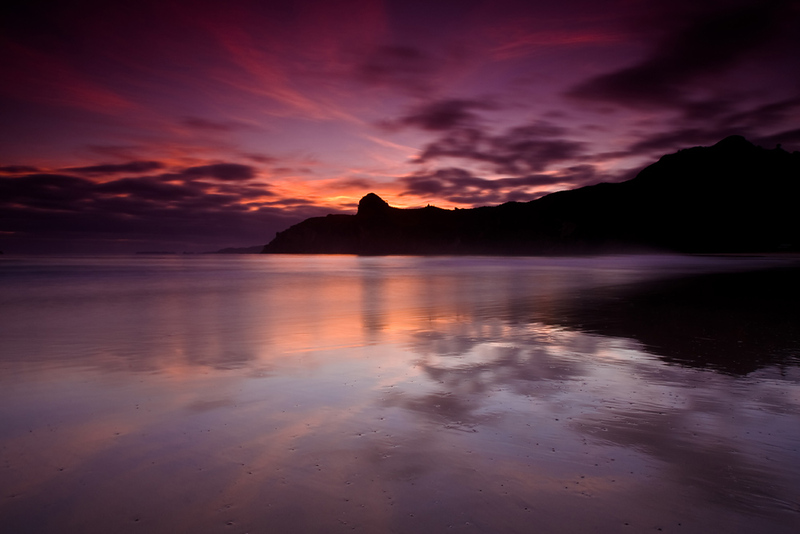 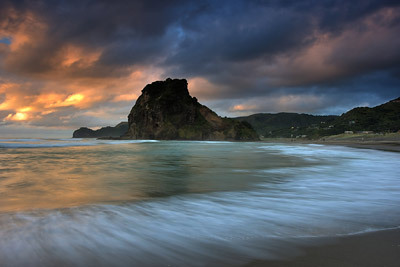 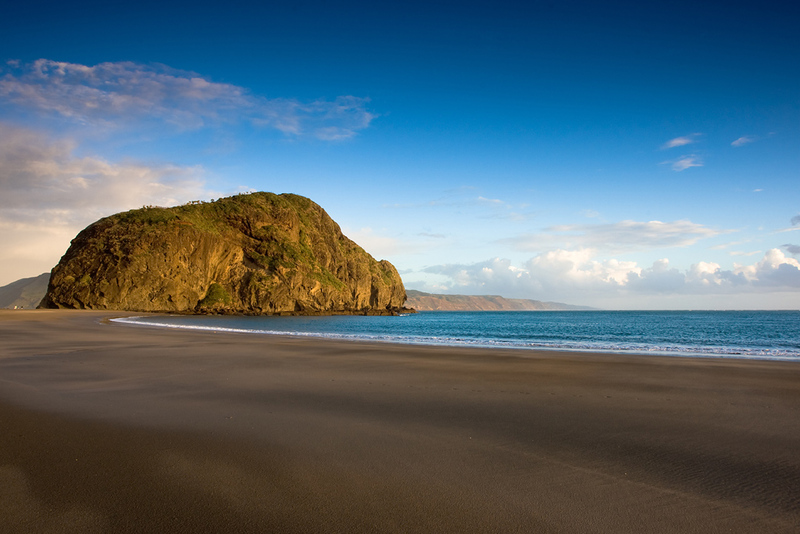 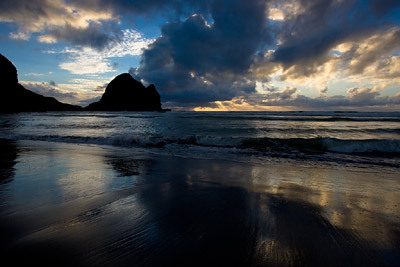 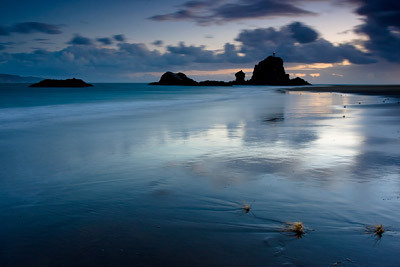 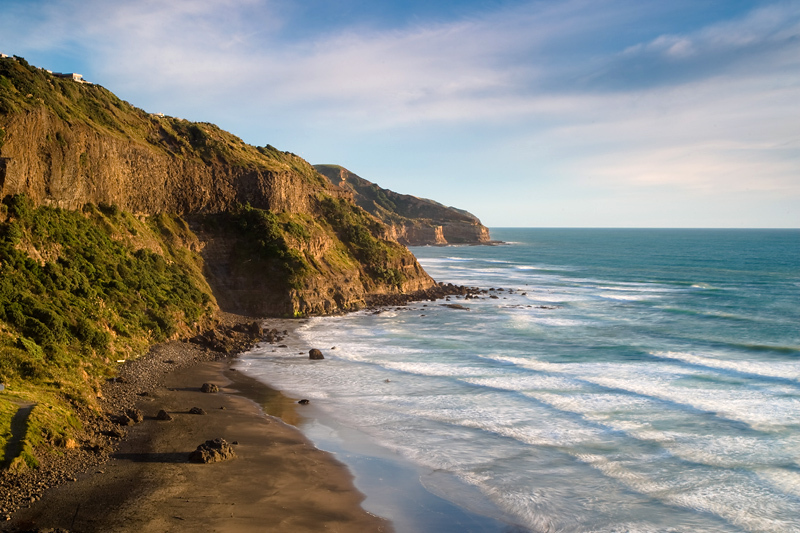 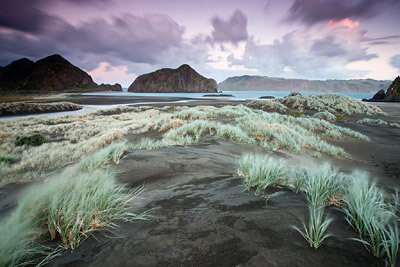 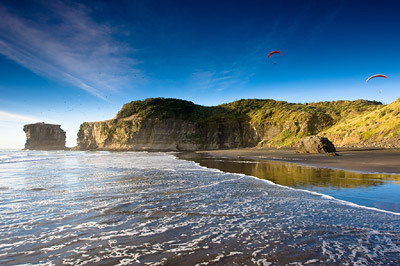 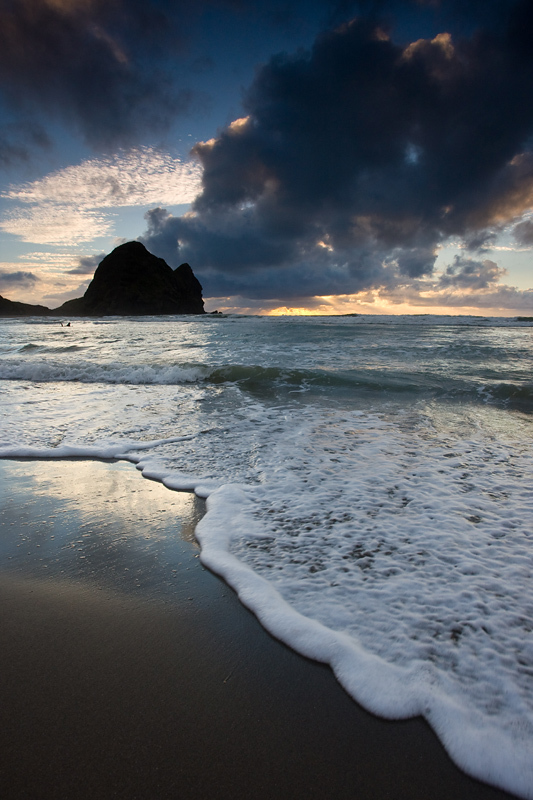 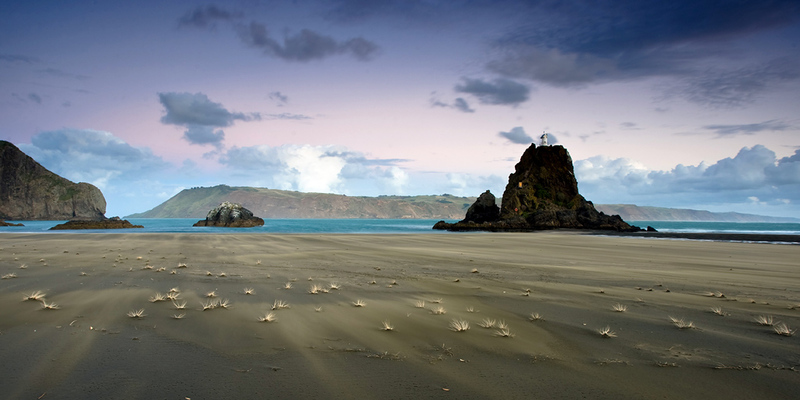 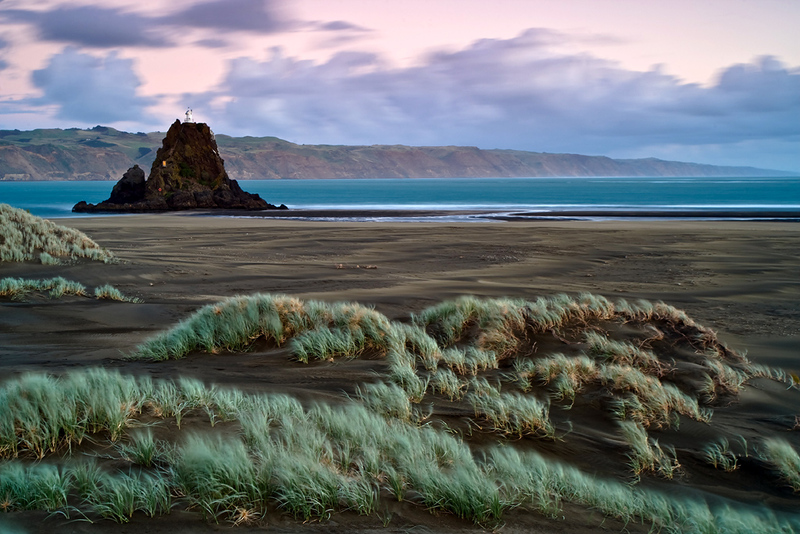 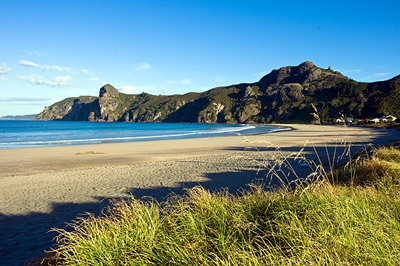 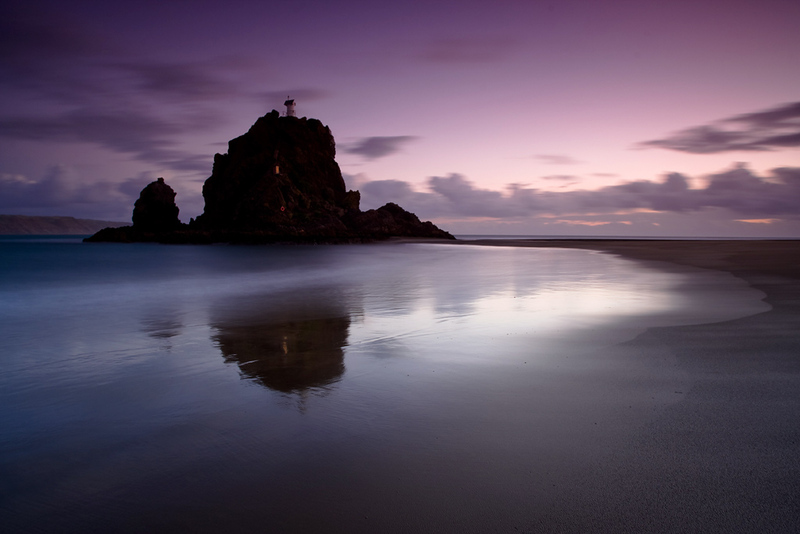 Piha and Karekare beach have been my local beach for many years, after living up in Waiatarua and Oratia. 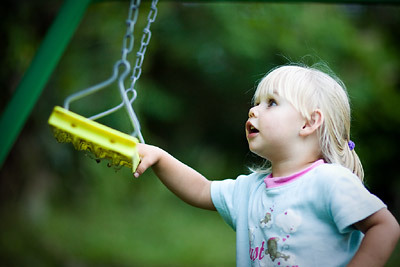 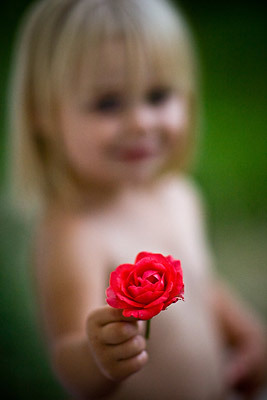 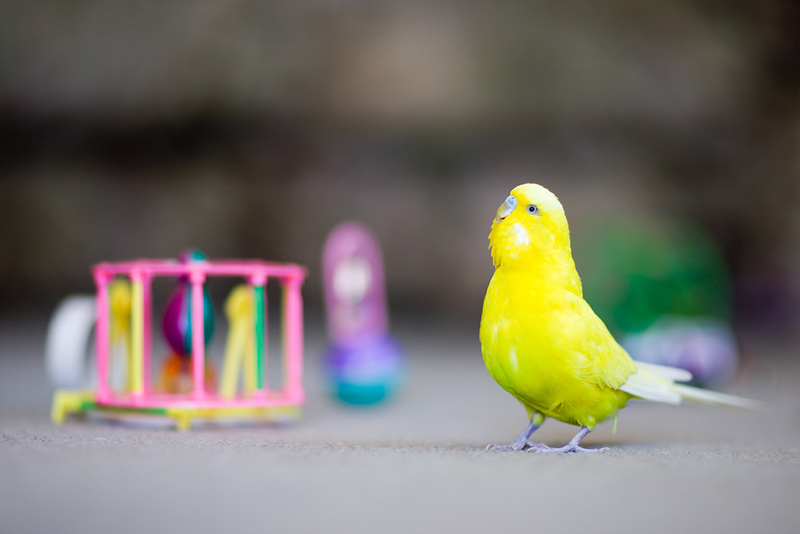 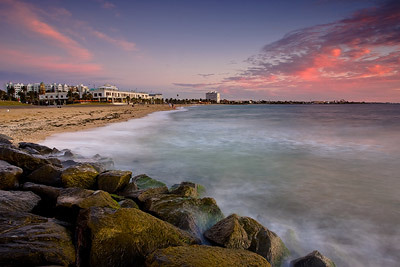 This was my forth visit in the past couple of weeks, but first time with the camera. 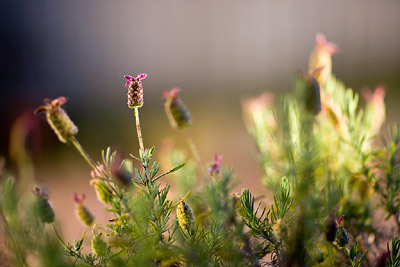 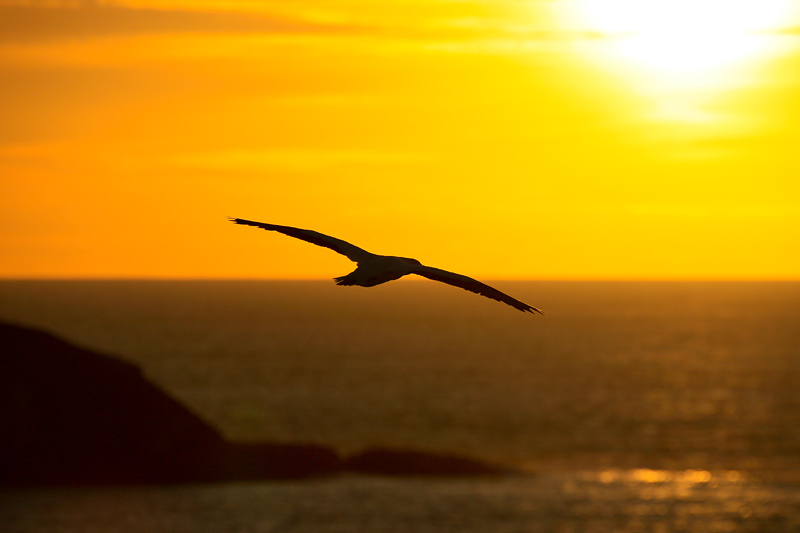 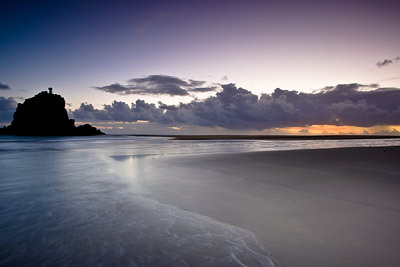 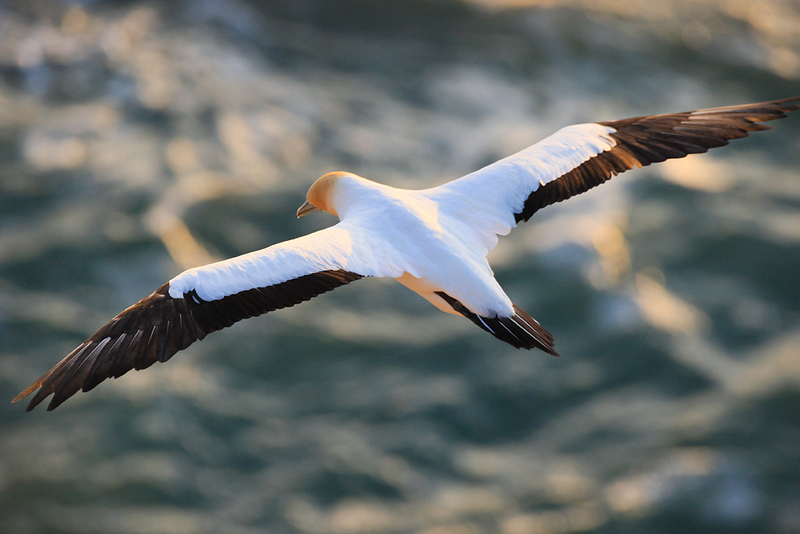 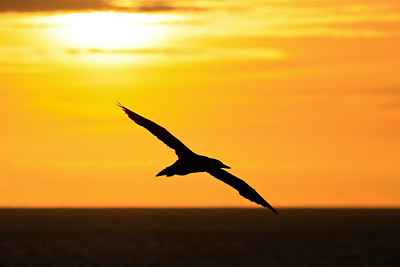 After spending a peaceful night on the golden sand, awoke early to capture to soft light in the morning. With beautiful weather arriving for the Auckland Anniversary weekend, made the two hour trip to the East coast of the Coromandel Peninsula. 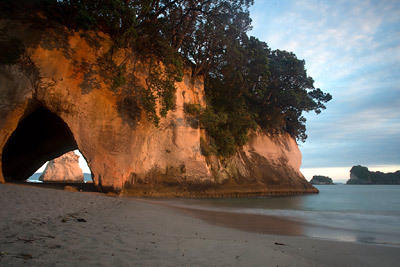 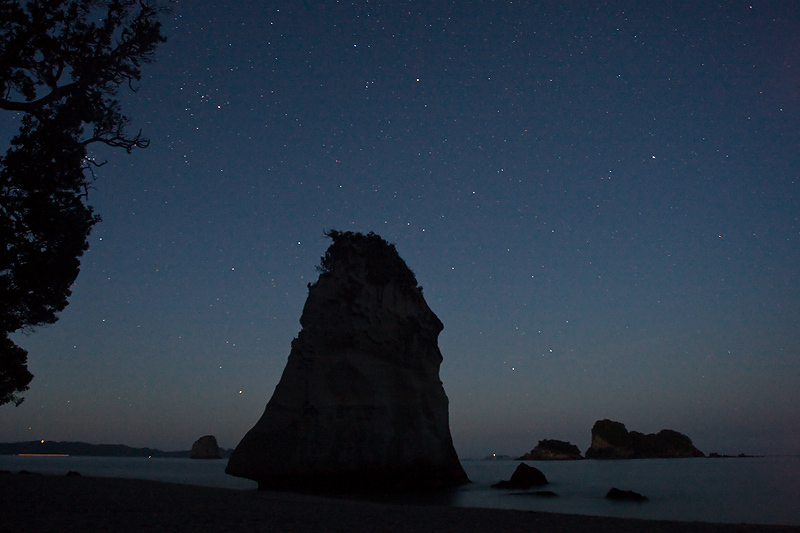 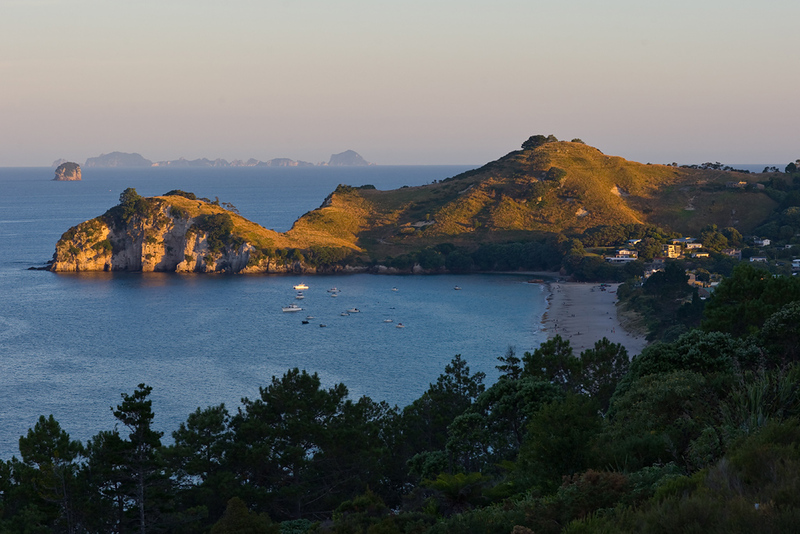 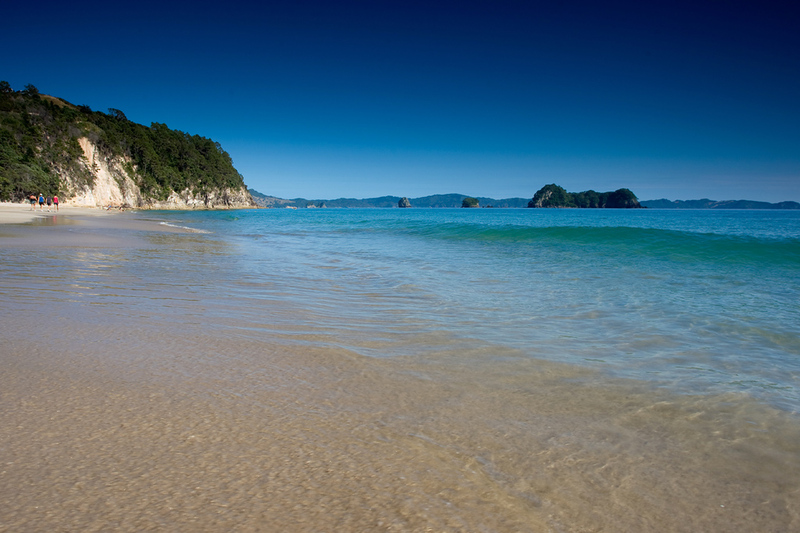 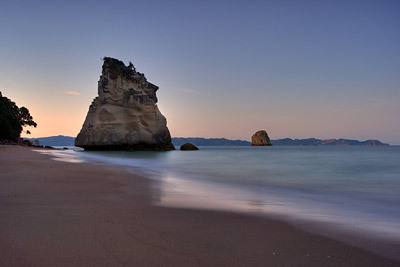 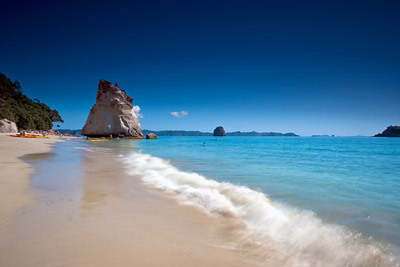 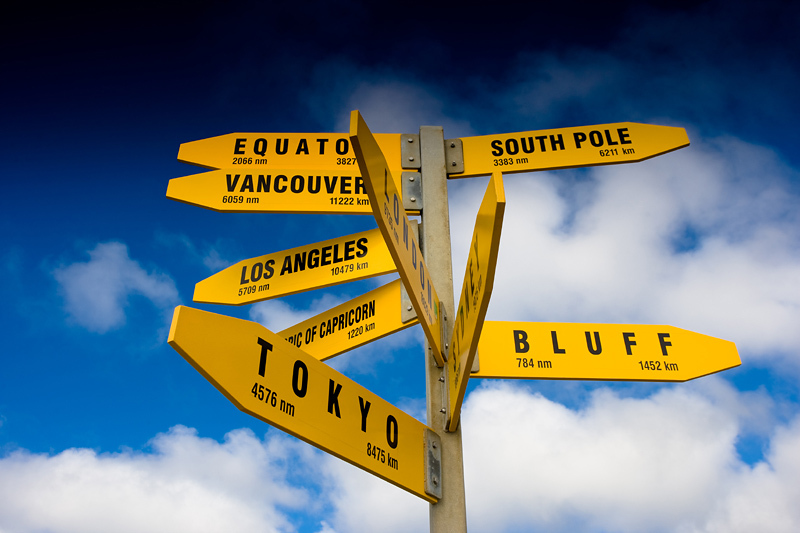 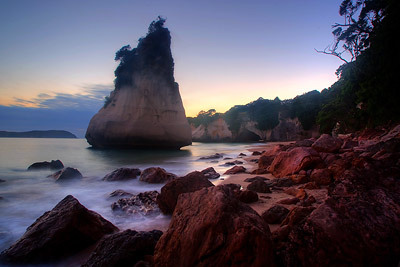 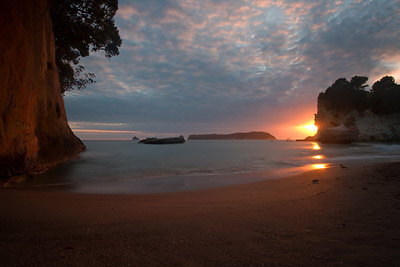 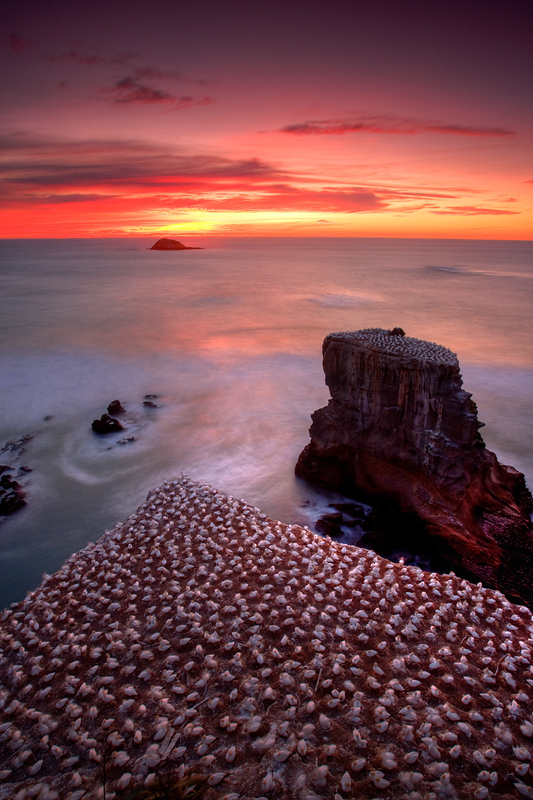 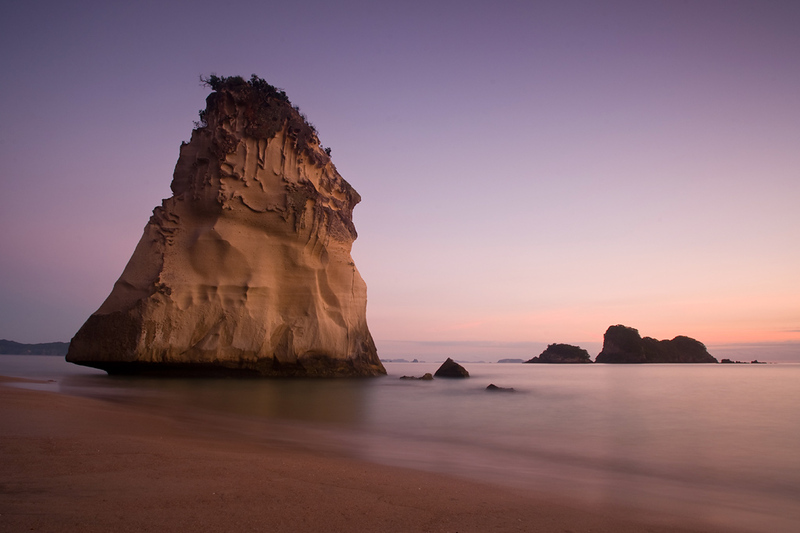 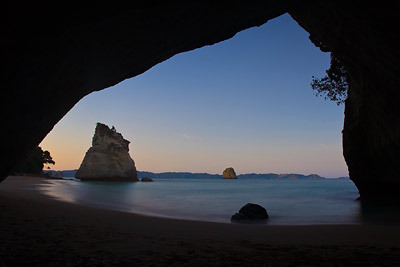 Specifically to see Cathedral Cove, and the neighbouring Hahei Beach. 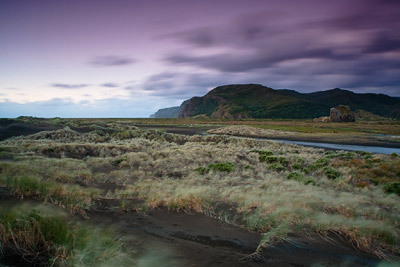 Whatipu rests at the mouth to the Manukau harbour, with some treacherous water and continuous moving sand with the prevailing Westerly winds. 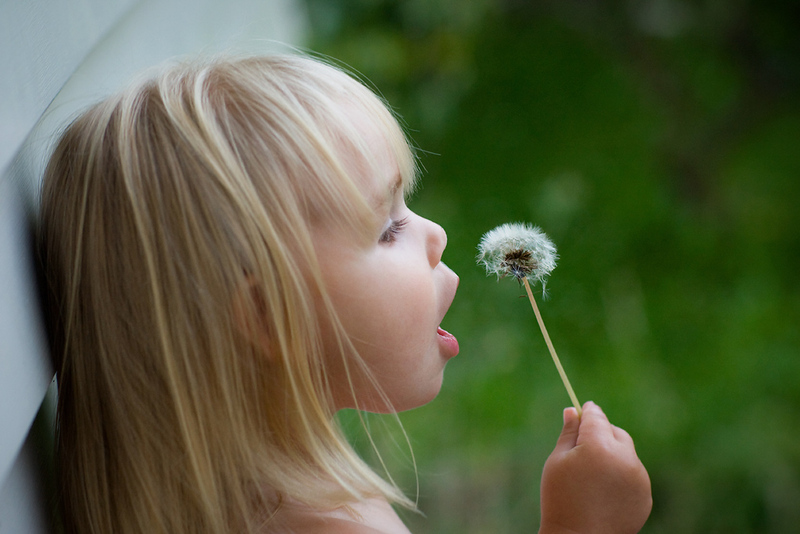 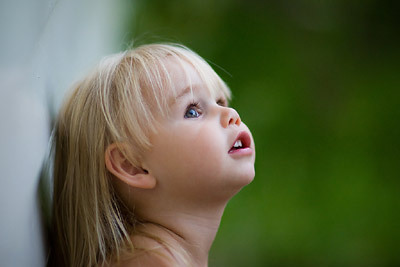 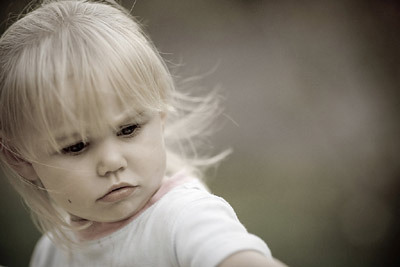 With returning back to New Zealand, I’ve been able to catch up with family – including my gorgeous cousin, Summer. 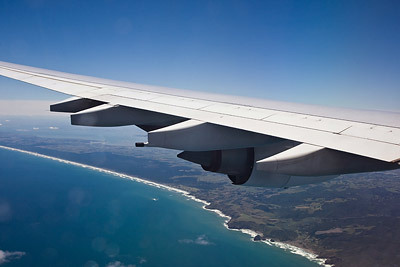 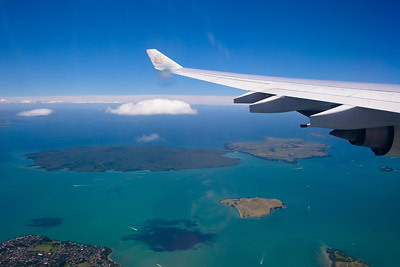 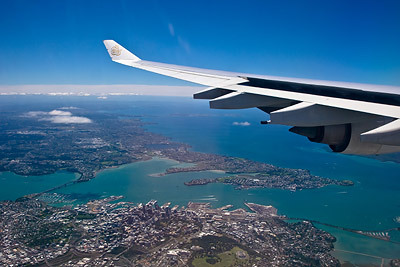 The Emirates flight from Melbourne to Auckland was uneventful, although the dirty windows on the A340-500 didn’t help in getting clear shots of Auckland. 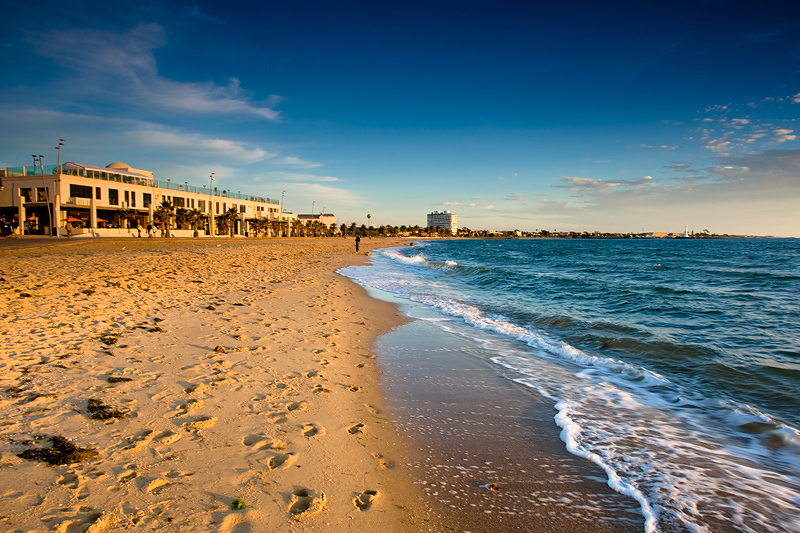 My final evening in Melbourne was spent down on the warm beach of St Kilda with my sisters. 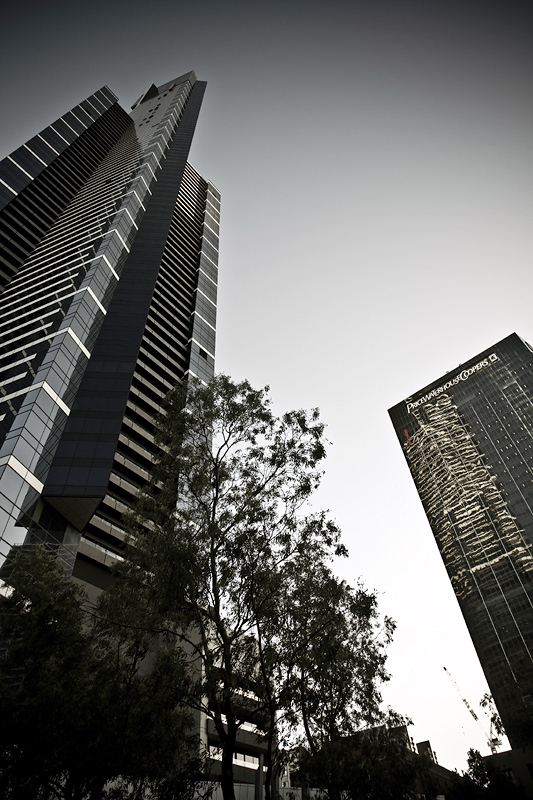 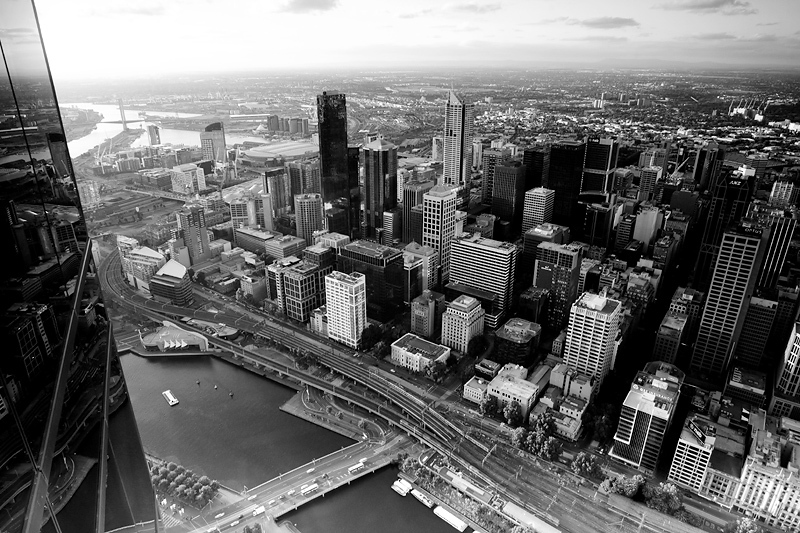 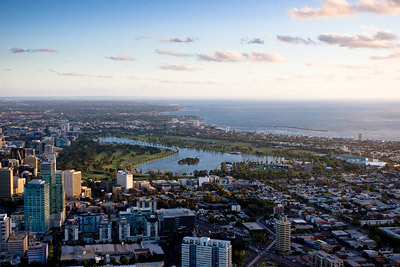 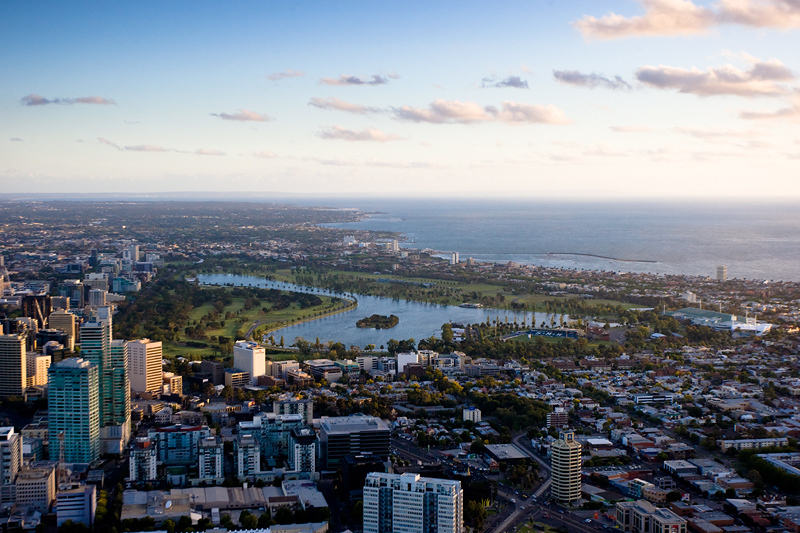 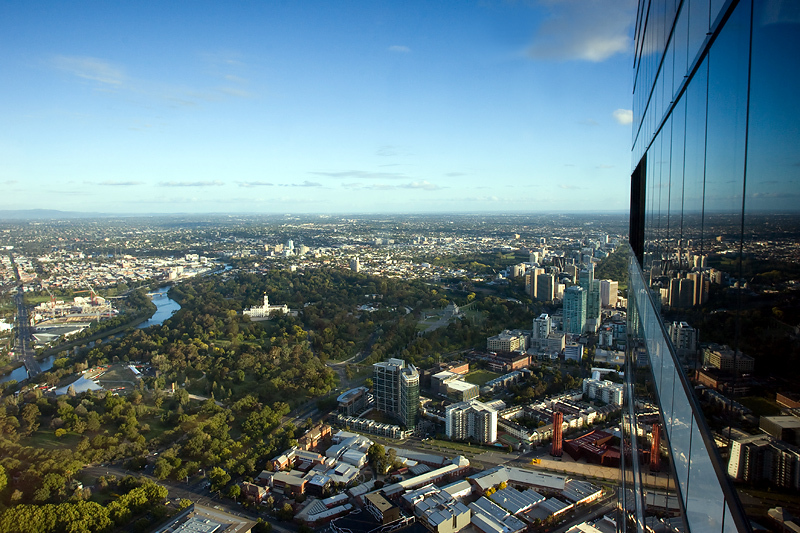 The Eureka Tower of Melbourne, is currently the worlds tallest residential building in the world standing 300m (984ft) tall. 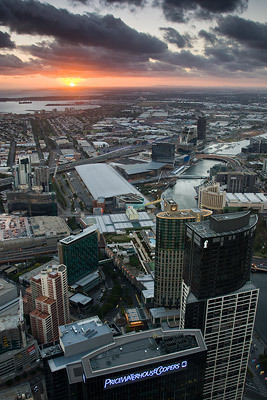 Presented with what looked like a great upcoming sunset with good visibility, decided to head up to the 88th floor lookout. 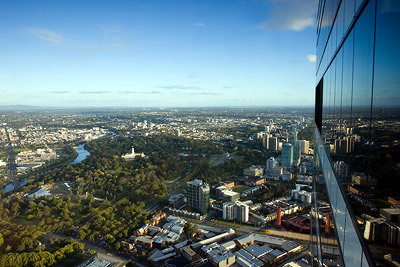 Spectacular views 360° around, although the top ten floors are gold plated (looks great on the outside), but cut out much light within making photography extremely difficult.